How can you build a sustainable house? All of the things you have to consider when building or renovating your home can be very overwhelming, especially if you’re trying to pick sustainable options. Healthy Child has some great tips for home renovations that I’ve posted about in the past. 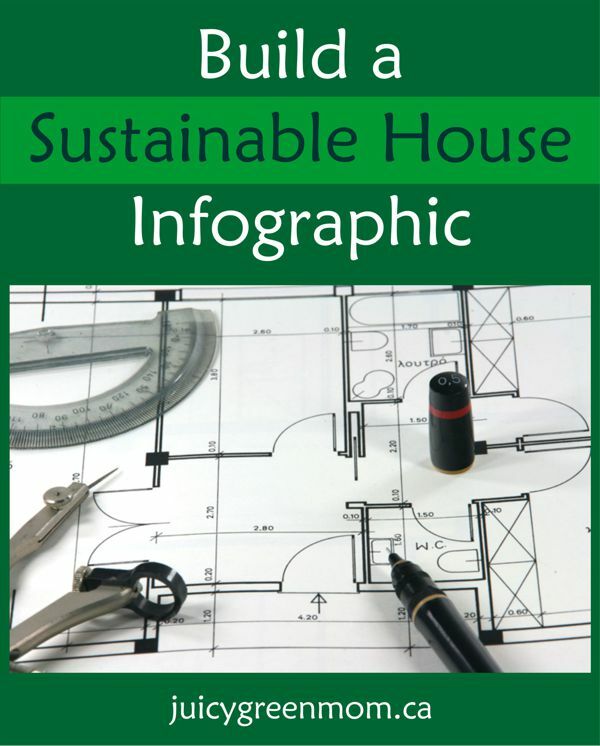 This infographic from fix.com really helps to break it down with simple choices to build a sustainable house. I will definitely be referring to it when it comes to doing any renovations on my house! When I was refinishing a dresser for my baby room, I did a lot of searching for what kind of paint to use, and decided on milk paint. I went with Old Fashioned Milk Paint and loved it. There is also another brand called Miss Mustard Seed Milk Paint available. Homestead House is a Canadian brand. I would love to use bamboo or cork flooring when it comes time to do renovations in my house. I have seen some cities offer homeowner rebates for installing solar panels on their roofs – I would LOVE for this to become the norm! What choices have you made for a more sustainable house? What would you choose if you could build a sustainable house from scratch? Your comment totally made my day. 🙂 Thank you! I didn’t find it to be much different than regular paint except that I did need to mix it (I got the powdered kind), it wasn’t as opaque so I needed extra coats, and I couldn’t let it sit for days on end afterwards. It did smell a bit like milk – otherwise no other smells detected! It did give a kind of “chalk paint” type feel so I used a varnish on top for my daughter’s dresser – which I also got from the Old Fashioned Milk Paint company.